You are here: Home / affiliate / The best way to manage your social media accounts! The best way to manage your social media accounts! We have a few social media accounts, we use Hootsuite to manage our social media from one site. The Hootsuite dashboard lets us organize all of our social accounts together. We have multiple team members who create and schedule post for the different social accounts. You can reply to others in real time. We measure and work to improve performance with insightful reports and analytics. You can monitor your brand, competitors, and market at a glance. 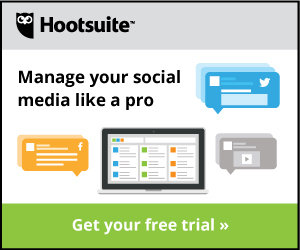 To up your Social Media game try Hootsuite by clicking on the image.